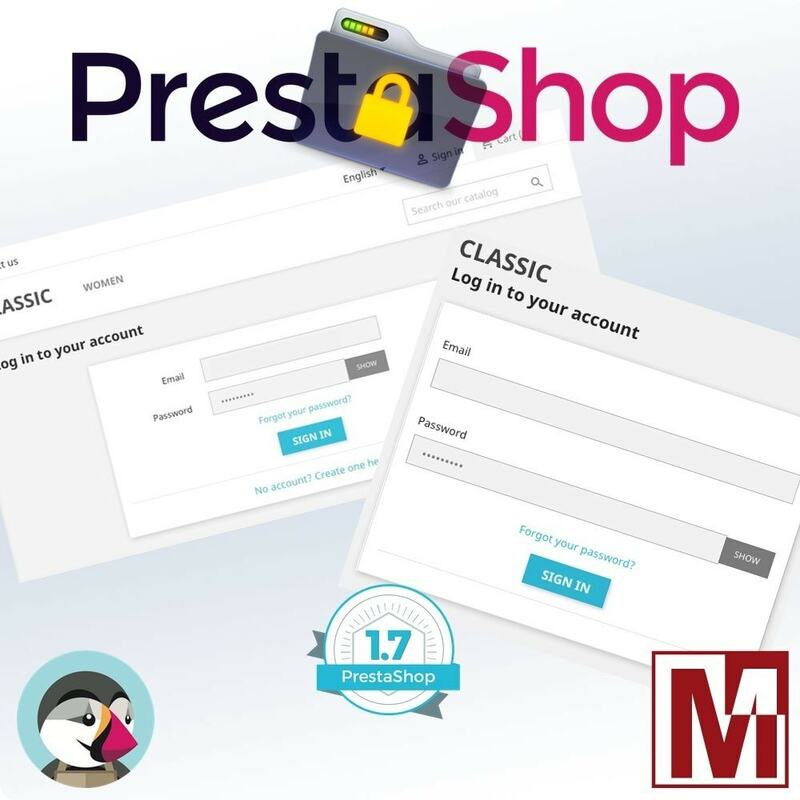 This Prestashop module allows you to give your store access only to registered customers, so your visitors will only be able to create an account and / or log in. This allows you to control very precisely who will have the right to access your catalogs and prices. 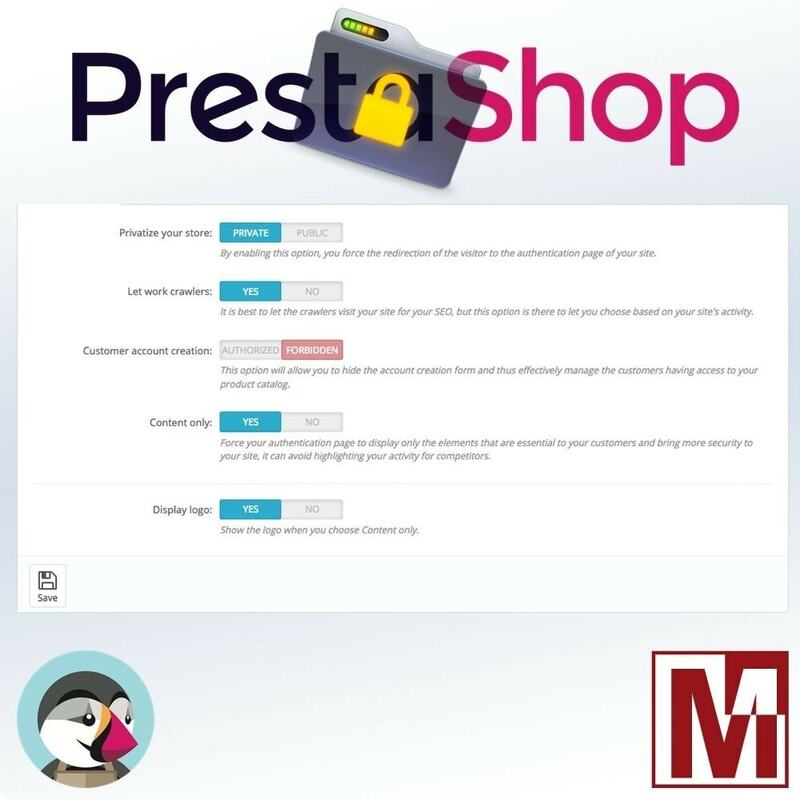 This module allows to automatically return any visitor, who does not have an account or who is not connected, directly on the authentication page of your Prestashop shop. This mode of operation can be perfect for shops of destockage or those selling only to professionals. Of course, the module will not prevent robots from properly indexing your catalog if you want to maintain a quality referencing in front of your competitors. Allow complete access to the site to the Robots indexing so that they can continue their work of SEO. Choose to display only the authentication form or all design. Choose whether to hide the registration form. 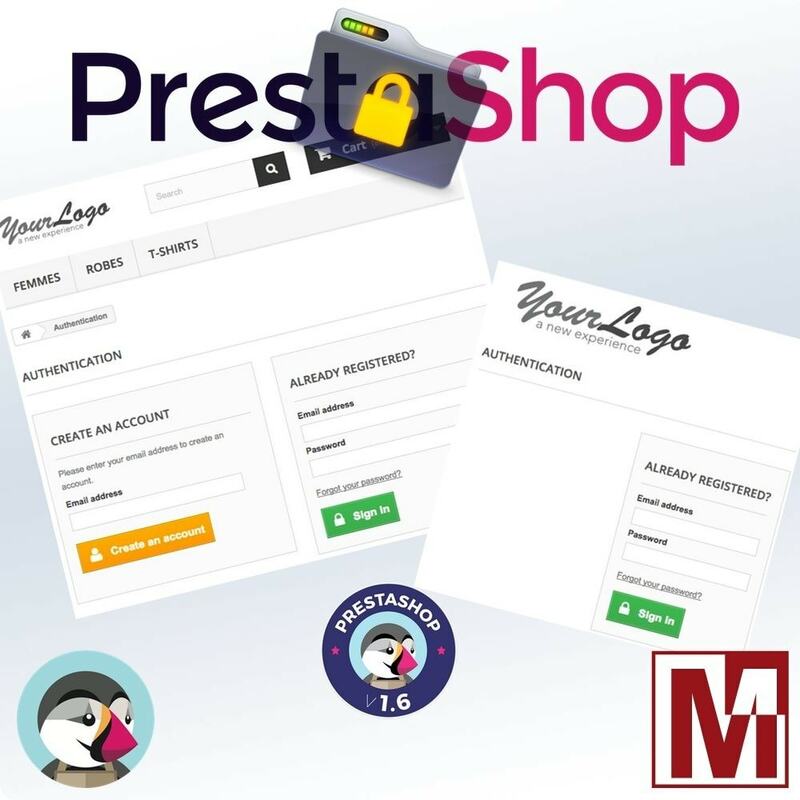 Choose whether to display the shop logo or any other image above the authentication form. By privatizing your shop, you define another relationship with your customers. You can imagine with a multi shop installation to use this module on the pro shop with specific pricing to your B2B partners.